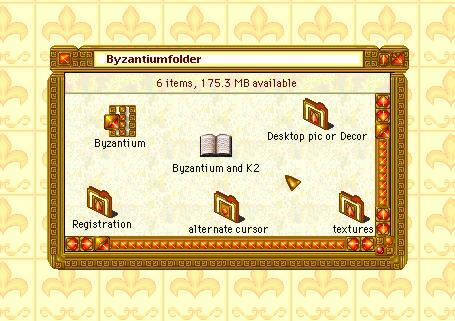 The final version of Byzantium is here. It has the look of antique gold, amber, and fire opals. Shareware. It includes custom folders, trash, cursor, desktop pattern, patterned menu and menubar, finder and finder header, and windowshade sound, all written *into* the scheme. You select which you want to use in the K2 control panel. Also includes a new amber desktop picture by Bill Paris (no relation).